I retired in 2010, after over 35 years with one employer. It wasn't easy to walk away... I was lost. Read about my retirement here. Despite this site, I still really didn't know what to do with myself every day. I pretended to keep busy -- but felt empty. I know what new retirement feels like... been there, done that. Today, I am at peace. I feel content with my retired lifestyle, and have adopted new daily routines. I've worked with retirees for over thirty years now, (YIKES!) and I know the problems and issues in retirement. As a Retirement Coach, I feel a deep need to help those who get "stuck" in retirement. Just when we should be living life on our terms, we feel lost. How and why does that happen? It happens to many, and I've been there too. One day you are someone at work (doesn't matter if you are CEO, Military or Law Enforcement, Nurse, Teacher, Clerk, Custodian) -- you retire and BAM! You suddenly, without warning, feel like a Nobody... and that's simply not right! Who are you and what are you going to do with the rest of your life? What will you do all day, every day? Live your Retired Years as YOU Choose to Live Them! Live YOUR Personal Style of Retirement. Free 30-minute coaching calls -- are you interested? You tell me what your issue is, whatever you choose to talk about. That will be our topic of discussion... we'll chat so you can experience Retirement Coaching for 30-minutes! Bottom Line: Simply an informal chat around whatever bothers you. Pick a topic and get your issues O-U-T so that you can think more clearly and find solutions. Let me add some new perspective and logic to your thoughts so you can find a way out. Retirement is different for everyone. Some love to travel. Others, like me, want simple lifestyles. Still others want employment in a completely different way. Getting there isn't always easy... it's not easy pre-retirement to make the decision to walk out the door. It's equally difficult post-retirement when you are in the Now What? stage. What does retirement mean to you? It's your time in life. You have few obligations. It's your time in life to do what you choose to do -- the problem is you must choose something. Even if your choice is peaceful easy living, you need gardening, a dog, a hobby or two -- something to occupy your mind and body daily. You can't sit there year after year with nothing... well, you can but you won't live long as mental and physically you decline, right? If you feel stuck, there is a way o-u-t... just takes some out-of-the-box thinking and many ideas will pop into view. There is LIFE post-retirement and depending on what your possibilities are. GOOD LIFE too! Even if you have a medical issue, it's your choice to look at life in the best way possible. There is still JOY to be found! Retirement is a gift... and some don't live long enough to get this gift. Truly a gift! Retirement is a Journey, a process, not a Destination. Retirement is a pathway to new beginnings. Retirement is an opportunity for positive change. Retirement allows you a new empowering perspective. In retirement, especially in the first few years, we often get "stuck". We don't know what to do all day, every day, or how to fill all those hours when we previously worked. We no longer feel needed, and we might need a new purpose in life to feel fulfilled. Coaching is a confidential, comfortable space where you can talk through your thoughts and feelings honestly, without fear of feeling judged. Afterwards, you can take A-C-T-I-O-N, with or without me pushing you along! Retirement simply ROCKS after you get back on track... and you might find a completely unexpected lifestyle that rocks your world! Retirement Coaching will help you, one baby step at a time. Your ideas, Your momentum, Your new life! It's time to find your New Retired Self and choose LIFE again! Why consider hiring me as your Retirement Coach? First, I am retired -- been there and done that! You can read journey on my About Me page here. I was employed for 35 years for local government, the last 25 years as a Retirement Manager. Post-retirement, I have continued helping retirees on this site for ten years now. I retired in April 2010, and I struggled for a few years. The retirement transition isn't easy... and yet, I had a website to run and the ability to feel productive. Feeling necessary in life is something many new retirees have lost. Second, I've worked with retirees for over thirty years. Whether my help is a small step, or a large leap, into your future -- depends on you and what direction you choose for your life, right? My Certified Life Coach training was through the Life Purpose Institute. I chose that training specifically to help retirees transition into a new retired lifestyle... wha ever that means for each retiree. I am a member of the Retirement Coaches Association, so that I am updated on retirement issues (as if this site wasn't enough as I hear from retirees daily). This is your opportunity to talk about whatever is troubling you, totally confidential, and come up with reasonable solutions. We will smash goal after goal until your life feels right again! Are you ready to do the work necessary to change? There will be lots of thought-provoking questions and possibly research to do. You must whole-heartedly consider your options, I cannot do that for you... then we can work through your problems, together. Simply choose your option below. Talk to me... let's see where life leads you! $600 for Three Mo. - 4 Weekly Calls/Mo. $200 per month - $600 total - for 3 consecutive months of Live Coaching - One 30-45 minute call each week. These weekly sessions are via phone or computer audio for coaching. This is private access to me. We talk, one on one, totally confidential, digging deep into what is holding you back in retirement. . I will guide our chats... sometimes using techniques to help you past your blocks. This is 3-month Coaching as you want real results. This is not a canned program where one size fits all. It is personalized to you. You will have homework. You will do the work to push yourself forward into retired life. You will see changes in your life, as we work through your issues. This truly is all about you! Hit the Button below & we will be chatting within days! $200/month X 3 consecutive months... PayPal will auto-bill you monthly, Start Today! Boom! No Refunds... You agree to work with me for three consecutive months! $250/month - Coach with me for one month. This is private access to me, and we simply talk. One on one, totally confidential, working on one specific retirement issue. We will be guided by what your issue is and will attempt to resolve (or have a plan to correct) that one issue. Hit the button below and we can begin coaching! I sincerely want to help retirees find more meaningful lives. I do not offer refunds as I am spending my valuable time working with you. You control what you get out of this coaching, you control your time and efforts, and I hope you dive into this with the same enthusiasm that I will! 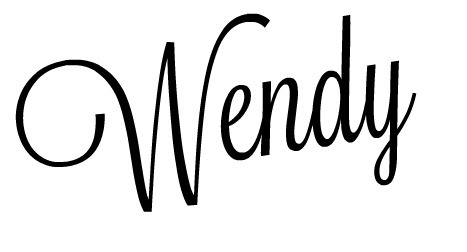 I have had the pleasure of coaching with Wendy several times. Most recently, I took advantage of her three month coaching package. I can't tell you what the weekly meetings meant to me. We worked through several things that had me "stuck" and falling into self-sabotage. She has great insight and listened to ME. She helped me walk through a few decisions to lead me a love for my life after "kids" and "the job"! I have been working with Wendy, the Retirement Coach and have been following her blog for about three years. Wendy is one of these rare jewels that really understands the plight of the newly or not so newly retired. She has tremendous insight into the emotional components that retirees have to face when they lose their work identity. They feel there is no where to turn and then there is Wendy!!! She has tremendous insight into the emotional components that retirees have to face. She is truly refreshingly selfless in her approach and is 100% on your side in every conceivable way possible. 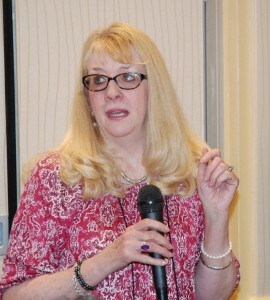 Wendy is giving, insightful heartfelt and a amazing gift to the retirement world. Without a doubt I give Wendy as A+ as a person, selfless caretaker, and above all a retirement motivator. Heartfelt cheers to Wendy, the Retirement Coach!! !